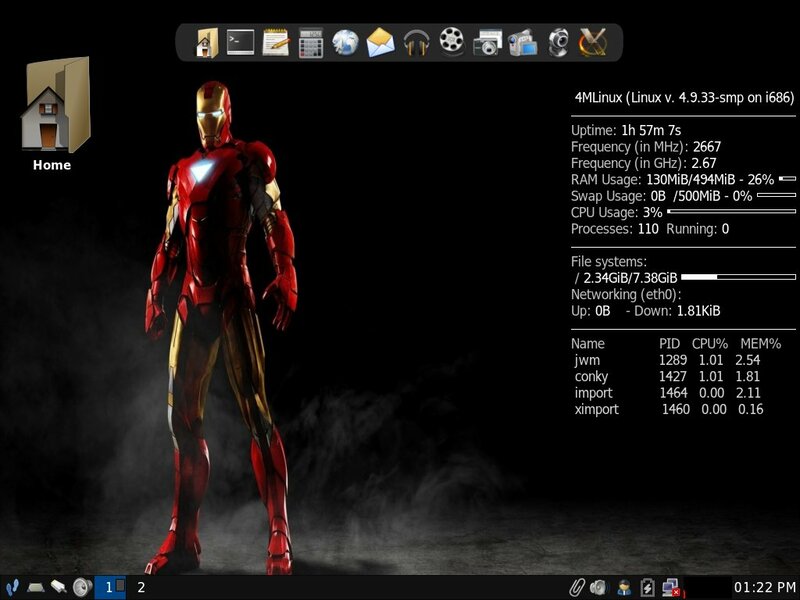 4MLinux Releases: 4MLinux 22.0 STABLE released. The status of the 4MLinux 22.0 series has been changed to STABLE. Create your documents with LibreOffice 5.4.0.1 and GIMP 2.8.22, share them using DropBox 28.4.14, surf the Internet with Firefox 54.0 and Chromium 59.0.3071.86, stay in touch with your friends via Skype 5.3.0.1 and Thunderbird 52.2.1, enjoy your music collection with Audacious 3.8.2, watch your favorite videos with MPlayer SVN-r37904 and VLC 2.2.6, play games powered by Mesa 13.0.4 and Wine 2.10. You can also setup the 4MLinux LAMP Server (Linux 4.9.33, Apache 2.4.25, MariaDB 10.2.6, PHP 5.6.30 and PHP 7.0.15). Perl 5.24.0 and Python 2.7.12 are also available. 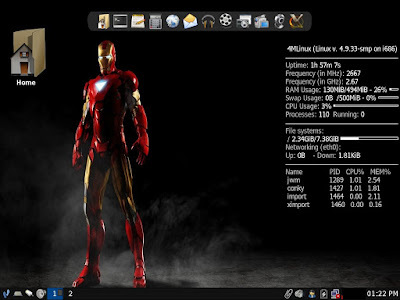 4MLinux 22.0 comes with some amazing new features (Skype BETA, FreeCol game, support for the LUKS disk encryption, to name but a few examples). However, the biggest changes are related to the 4MLinux Server, which is now a feature-rich, the lightest and the fastest server suite available on the market. See the recently updated documentation for details. 4MLinux supports all possible boot options: BIOS with 32-bit CPU, BIOS with 64-bit CPU, UEFI with 32-bit firmware, and UEFI with 64-bit firmware. TheSSS 22.1 available for download. 4MLinux 23.0 Core BETA released. 4MLinux 21 is now OLD STABLE. 4MLinux 20 reaches its EOL.